These past few days have been intense and busy. I’ve been promoting My Mission, planning my yearly Day of the Dead exhibit, and balancing other creative projects. Chief among them is my full blown committal to purikura as an art form. 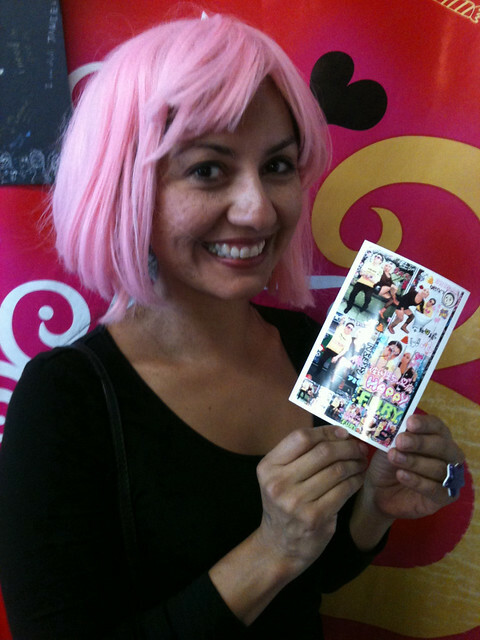 Today I spent the early afternoon with Ms. Margarita (AKA Margarita Azucar) for another round of purikura art making. We met up following her radio show on radiovalencia.fm. On our way to Pikapika in Japantown we stopped off at her apartment and I saw something that made me smile so much. Seeing these two cans propping up a window in Margarita Azucar’s apartment instantly brought me back to my childhood and warmed my heart. 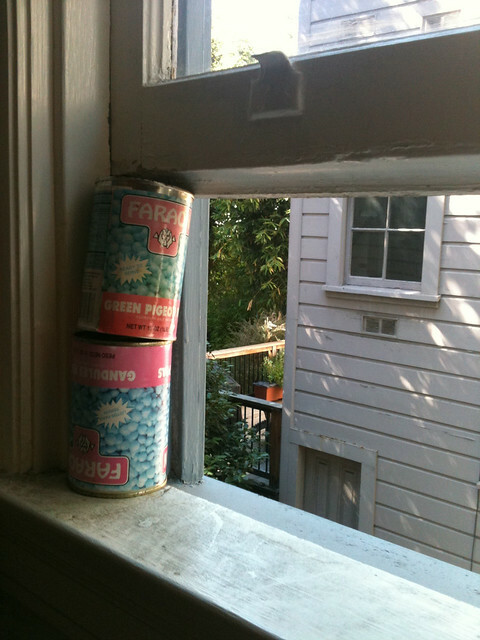 Growing up in an old San Francisco Victorian apartment my parents used all sorts of object to prop open our windows. We used books, old toys, Lincoln Logs, and other random things to keep our windows open on a hot day. I’m hella nostalgic right now. Our purikura session went great! Ms. Margarita rocked an awesome pink wig and busted out with some great poses for the photos, she was truly like a Chicana superhero. I’ll be scanning the photos and posting them in the new couple of days. Stay tuned! Previous postMy Mission is OUT!